Quantum Precision Instruments Asia Private Limited has announced that it has received the 2009 Frost and Sullivan South East Asia Industrial Technologies Award for Technology Innovation in Integrated Nano-Sensing Technologies. 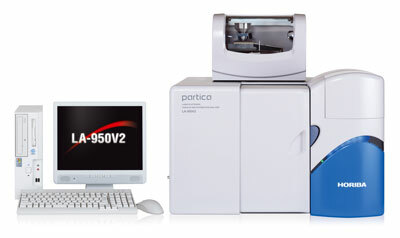 HORIBA Instruments, Inc. is proud to renew their alliance with the Center for Innovative Sintered Products (CISP) at Penn State University through the donation of their Partica LA-950V2 analyzer. Cheaptube's Single Layer Graphene Oxide is suitable for a wide variety of applications including electronics, solar, communications, and many other applications. Nanosurf has announced the appointment of Dr. David Faddis as Director of Technology and Applications at Nanosurf Inc.
A long-time pioneer of effective global eLearning, Malvern Instruments has this year more than doubled the size of its web seminar program. NanoHorizons Inc., the developer and manufacturer of SmartSilver nanoscale antimicrobial additives for textiles, health care, and industrial applications, has joined with four other companies to create the Silver Nanotechnology Working Group under the sponsorship of the Silver Institute and the Silver Research Consortium. 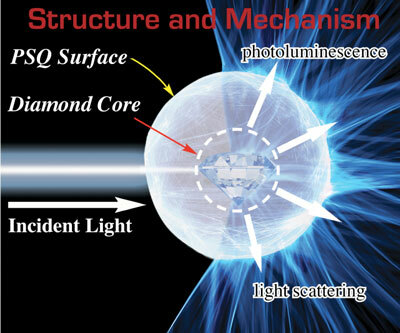 For the first time, photoluminescent diamonds have been encapsulated in a spherical polymer, rendering a soft-focus particle with both photoluminescent and color correcting attributes. EV Group, a leading supplier of wafer bonding and lithography equipment for the MEMS, nanotechnology and semiconductor markets, today announced it has entered a joint development program with CEA/Leti - one of Europe's renowned research labs focusing on microelectronics and nanotechnology. Waterborne raw materials for coatings and adhesives take center stage on the stand presented by Bayer MaterialScience AG and its Coatings, Adhesives, Specialties Business Unit at the European Coatings Show in Nuremberg, Germany, from March 31 to April 2, 2009 . 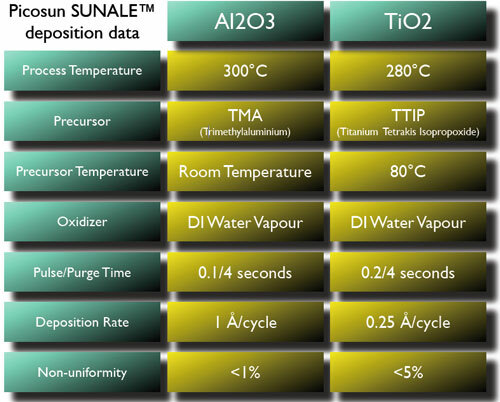 The Microfabrication Laboratory of the University of California at Berkeley reports to be pleased with their Picosun SUNALE R-150 atomic layer deposition (ALD) reactor. The new Quanta 50 series from FEI enables investigation into a wider variety of materials, providing researchers with the ability to view any sample and get all the data. With new features and detector options, the Quanta 50 series is helping redefine material property and elemental composition analysis. Freescale Semiconductor is accelerating availability of key communications products based on 45-nm process technology in response to strong demand from wireless infrastructure equipment manufacturers targeting advanced 3G and 4G systems. Pentair, Inc. and Nano Terra, Inc., announced today they are forming a strategic alliance in water treatment. Pentair is a global leader in water movement, treatment, and storage technologies; and Nano Terra is a leading surface engineering and nanotechnology co-development company. iTi Solar, a manufacturer dedicated to advancing the economics of clean, renewable energy through the use of industrial inkjet technologies, today announced it has been selected by Solarcoating Machinery GmbH of Germany, a supplier of turnkey production line solutions for flexible solar cell fabrication,to provide the first digital inkjet system for its integrated roll-to-roll solar cell manufacturing production line. Aphios Corporation today announced that it has entered into a contract with the National Cancer Institute to develop Tdp-1 inhibitors either as a primary therapy or in combination with camptothecins for colon, breast, ovarian, leukemia and other cancers.